Place the sesame seeds in a non oiled frying pan, on stove top at medium heat. Stir continuously until seeds start popping and become a light brown (careful not to overheat). Takes about 2 to 3 minutes.Take off heat and cool. In coffee mill or food processor grind the seeds (coarse). 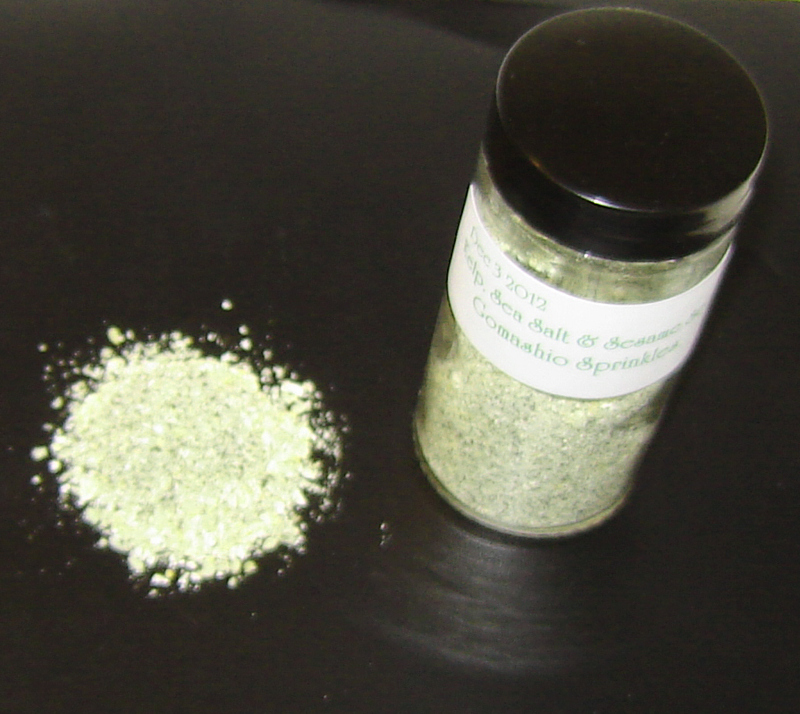 Sprinkle on just about any food as a tasty and healthy condiment. Store in shaker bottle with lid for easy use.